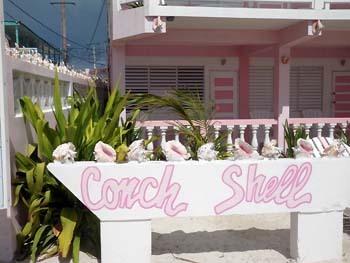 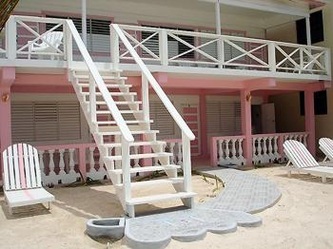 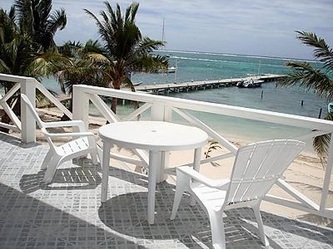 CONCH SHELL INN "Our Belize Vacation" - "Our Belize Vacation"
This affordable pink beauty, who has charmed tourists all over the world since 1973, located in the heart of San Pedro, has under gone a complete makeover. She is sure to grab your attention after just one night of "conching out" on her tempurpedic bed enjoying the fresh ocean breeze being pulled through your room with windows from front to back. 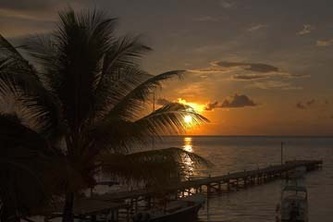 Looking for island romance, come spend one week or just one night. 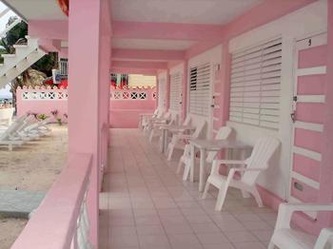 We are not only charming, affordable but within walking distance to every tourist and local attraction. 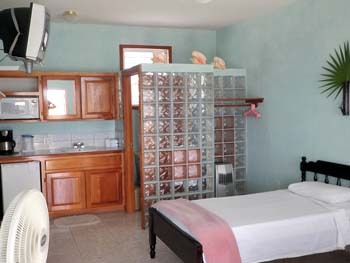 We pride ourselves with preserving the affordability and charm of San Pedro with a "WESTERN STYLE" maintenance-THE BUG FREE GUARANTEE! 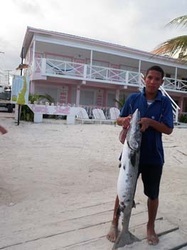 !Where else can you relax in a hammock on the carribean sea with a private refrigerator/cable tv/ free wireless and in the heart of all the action of a simple fishing village for an unbelizable rate? Belize me you aren't dreaming, your in San Pedro, Welcome!!! 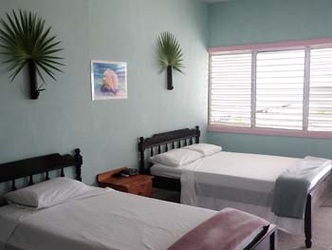 Enjoy one of the 10 reef watching renovated rooms. Choose to be royalty for a week relaxing upstairs with additional kitchenettes/safe or beachfront with a belikin on a big deck chair. 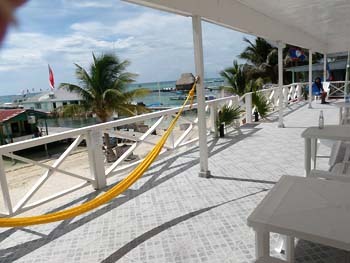 Hammocks are waving you in whether upstairs or beachfront you will truly relax and enjoy a true getaway, while awaiting your friends return from nearby swimming, tours, diving, shopping, dancing or relaxing massage.